The owners of Friendship Farm have another site with Savvy. 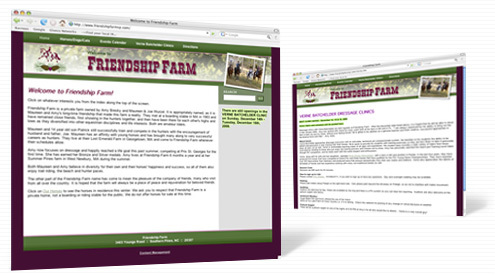 So when it was time to create a new site for Friendship Farm, they gave us a call. Using a stock template for the design, we completed the site in little over two weeks.